Do you know your parental rights for child custody? agreement that works for you. Should you pay or receive Alimony? We can assist you with your settlement. Need help with your prenuptial agreement? We can help you exercise your rights to protect your assets and get the time with your children you deserve. Divorce proceedings are stressful and trying. Navigating the law is difficult, if not impossible to do alone. There are so many things to keep track of, information to gather, laws to follow, it would be so much easier if you had help. You want someone who knows the system inside and out, and has the experience to protect your interests. When you need a divorce lawyer in Vancouver, WA, you want Robert Vukanovich Attorney at Law. Robert assists clients with uncontested divorce as well as litigating contentious divorces. He offers compassionate service while working diligently to protect the right of you and your children. Going through the process of a divorce requires you to make important decisions that will impact your life for years. Concerns like identifying, valuing, and distributing assets will be necessary. If there are children involved, decisions on custody, child support, college and health care contributions, and a parenting plan need to be made. These decisions are emotionally charged. Having a divorce lawyer ensures you understand your options and your rights and those of your children are protected. You can trust our lawyer to advise you on sound decisions and reduce your risk of making a decision out of an emotional state you may come to regret. Family law has many intricate details to be considered. Not having an lawyer leaves you vulnerable to making mistakes. A divorce lawyer handles your case so that critical deadlines are met and processes run correctly. While no lawyer can promise the outcome of a divorce, having an experienced divorce lawyer offers you the best shot at a more favorable outcome. Robert Vukanovich is on your side and will be with you each step of the way. He is the someone who cares about you and wants things to work out well for you. A divorce lawyer can help you navigate and negotiate a settlement that is in your best interest. Each settlement should be a fair compromise of all the issues. A divorce lawyer can be more objective about your divorce than you can (especially when emotions are running high) and will not make any rash decisions when handling your case. For example, you may be tempted to go for a quick resolution of property division through an early settlement; however, Robert Vukanovich may counsel you that it is in your best interests to wait for a more fair and equitable division. 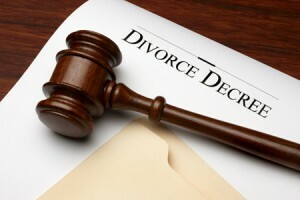 There are many tasks that have to be fulfilled to finalize a divorce. Divorce lawyers are familiar with the process, paperwork, filings, and other details, and this knowledge can help speed up your divorce process. Robert Vukanovich does all this and more. With over 25 years in the courtroom providing clients with exceptional counsel and fair settlements, Robert Vukanovich works for you. 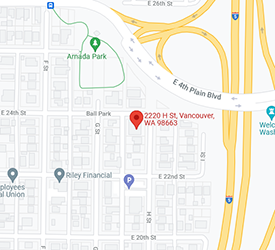 When you need a divorce lawyer in Vancouver, WA, choose a divorce lawyer that provides comprehensive service. Choose a divorce lawyer that watches out for your interests, saving you time, money, and costly mistakes. 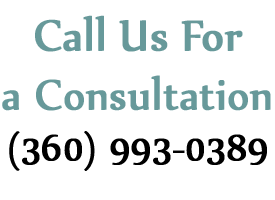 Choose Robert Vukanovich, your divorce lawyer in Vancouver, WA.